http://www.CBJCollector.com – In 2005, Disneyland had its 50th Anniversary and this pin celebrating 50 years of memories was released to mark the occasion. 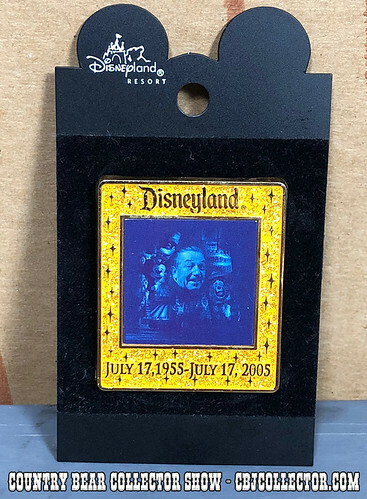 The pin features Walt Disney surrounded by some of Disneyland’s most iconic attractions, including the Country Bear Jamboree. Our host gives it a review and then delivers his patented ‘Paw Ratings.’ Be sure to check out the Country Bear Collector Show Facebook Page over at http://www.facebook.com/CountryBearCollector and let us know your thoughts on this item!